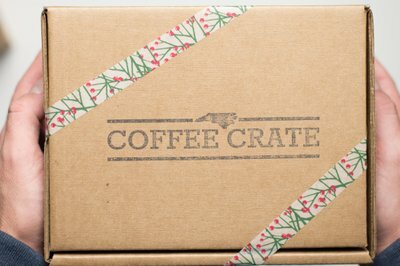 Enter your email address below to receive a notification when Coffee Crate starts accepting new sign-ups! 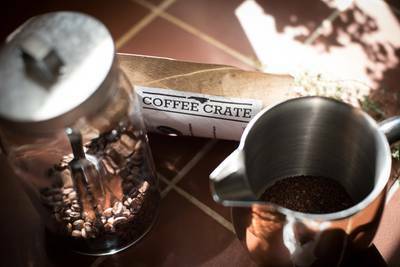 Enter your email address below to receive a notification when Coffee Crate is accepting new sign-ups again. We ship on the 15th of every month, using USPS Priority 2-day shipping. We carefully choose a new selection of our favorite local beans from roasters who take great pride in their product. 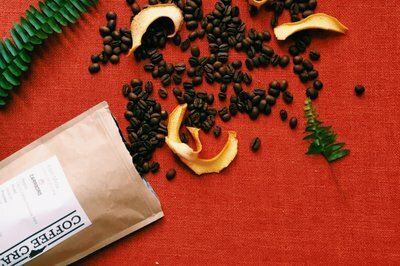 We are dedicated to finding the best tasting assortment of roasts that uniquely complement each other. When you subscribe, you can expect consistently amazing fresh coffee, personalized service, and occasional surprises! Roasters' notes and other special treats included. Also includes an artisan crafted sweet! The coffee selection is wonderful. Very fresh tasting, aromatic, creamy and loved all the regions. I don’t know what to say! It’s amazing! The quality of the beans its just amazing! Can’t wait until my next box! 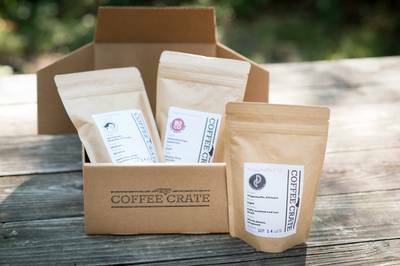 I had tried some of the beans from the Coffee Crate a few months ago and the coffee was SO GOOD that I knew I had to get the subscription service for my dad's birthday. I already have a list of people that will be getting their own delicious subscriptions for their birthdays, too! Awesome coffee selections. It makes my weekend! I love Coffee Crate. Each month comes a box of 3 coffees plus a delicious sweet. I love the variety and their ability to find great coffee . . . and don't forget the sweet! I gave this to my husband (who is a total coffee snob) for Christmas. He is hard to shop for and LOVES these gourmet coffee beans delivered right to our door! Makes great coffee!! For the last 6 months I have absolutely loved the coffee's that I have tried and the packaging of the beans. I have shared with my daughter and son who have developed an appreciation for fresh roasted coffee. The personal touch of the delivery boxing is wonderful. Will continue to enjoy this service. Thanks coffeecrate! This is a big hit at our house! There is always a nice selection & we look forward to our next delivery! Coffee Crate is a win-win! Coffee Crate surprises their customers with new, delicious, locally roasted coffee each month. This is a "win-win" for the beneficiaries and the coffee roasters. You can trust that Coffee Crate only provides their customers with the very BEST coffee. Quality and integrity are at the center of their partnerships with the local roasters. They also are advocates and allow a level of exposure for the smaller roasters, which is very much appreciated! I subscribed to Coffee Crate after staying at Angie's AirBnB and loved it so much that I signed my sister up as well. The coffee is always delicious and nuanced, and the local treats are a great bonus. Thanks for making mail fun again!